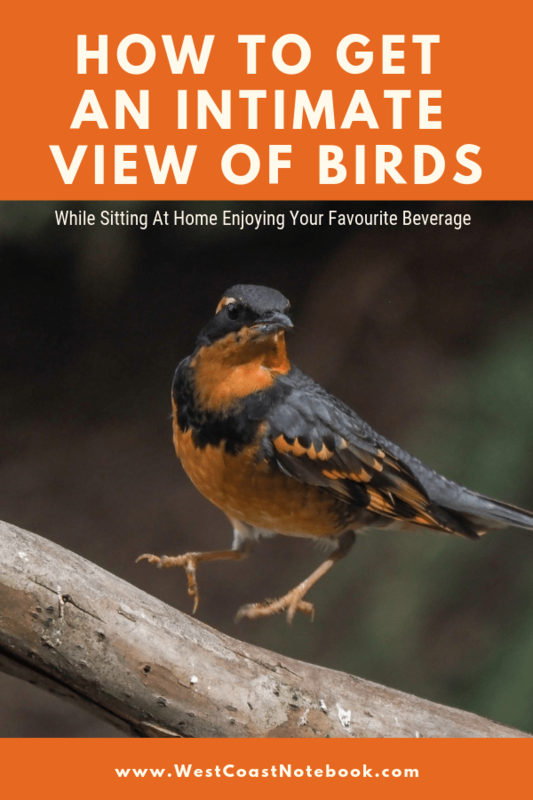 Ever wonder how to get an intimate view of birds while sitting at home enjoying your favourite beverage? I started watching webcams when I learned that we had one just offshore from us at Race Rocks. There was some rare bird reported on a birding board I was on that was seen at Race Rocks and the only way to see it was via webcam. Race Rocks was declared a provincial marine protected area in 1980 and in 2000 they got 3 webcams on the island. This was quite a feat at that time as the internet was still on dial-up. But it’s not only locals who keep an eye on the webcams, but there is also a lady called Pamela Birley from Leicester, England that has been watching the rock for 14 years. Here is an article on her that is well worth reading. Pam takes still pictures via the webcam and posts them on her flickr page here. I just had a quick look through some of her pictures, as she’s captured life on the little island, from birds to sea lions mating and giving birth to finding hurt and injured animals. Here is the link to the 3 live webcams on Race Rocks. I’ve taken a screenshot of the camera at night which is why you don’t see anything on the screen and put some numbers on it to make it easier for you to navigate. There are instructions on the page itself, but I thought I might be easier just to number the key points and explain what they do. If you click on the icon beside #1 you will get control of the camera for 2 minutes. By clicking on the yellow rectangle with the + sign in it and hold down the key on your mouse, you can move the camera to different spots on the island. This area allows you to zoom in and pan out on the camera. The closer you click to the lone tree on the top the closer in you will see. If you click on the arrow beside #4 you can make the screen bigger or smaller depending on what size you want to view it. There is no #5 but at the very bottom of the screen, there is a blue circle with an ! in it. 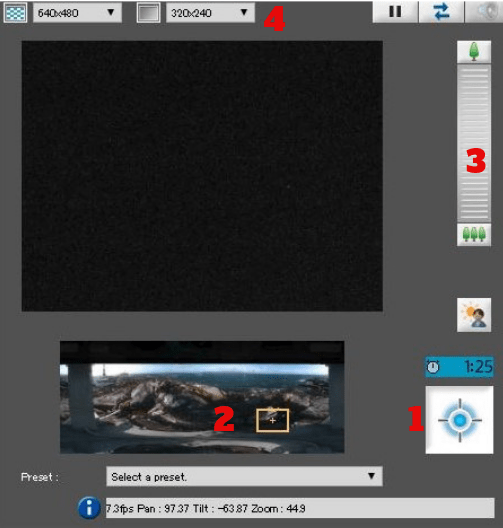 If you hover over any of the areas on the actual webcam when you are viewing it will show what each icon does. I found this webcam the other day when I was looking up some information on heron colonies. It is located in Stanley Park in Vancouver, BC. Watching the screen change to different nests I realized that someone had control of the camera so I read the instructions on how to do that. When you click on the blue control icon you will get one minute to control the camera and sometimes you have to wait as there might be a couple of people ahead of you. Your turn starts when a drop-down menu appears in the top right and you can select which nest you want to watch. My favourite two are Tree J Nest 2-3 and Cedar Nest because you can see them quite close. I was two herons mating on J nest but I didn’t realize I could have taken a picture. If you look at the bottom right where there are five icons the second one in from the left is a camera that you can click at any time to take a still picture. Here is the link to the heron cam. It’s that time of year again (March) when the bald eagles are sitting on their nest here in BC. The Hancock Wildlife Federation has set up four eagle cams in different locations. These locations include Delta, White Rock, Surrey and Harrison Mills, BC. To operate these cameras all you need to do is to click on the picture and it will start playing live. The best part is that they seem to have infrared cameras and you can view the eagles at night sleeping. If you scroll down below the live feeds they give all the information on the history of the nests and eagles as well as a map with the location of the nests. I like watching the one that is set up at Harrison Mills as I use to live about 1/2 mile away from where the camera is set up. You can view the camera’s here. The Osoyoos Osprey Cam is located in… yes you guessed it… Osoyoos, BC. At the time of writing this post, the webcam isn’t running as they only have it online when the ospreys are in town and they haven’t returned from their winter home yet. Last year (2018) the webcam went live on March 28th so I check it on a regular basis to see when the ospreys arrive back at the nest. This is a new webcam for me but ospreys are one of my favourite raptors so I can hardly wait to see them return. Here is the link to the nest. I saved this one for last as you can go down the rabbit hole with this site. 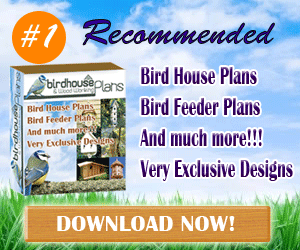 You can get a webcam on almost any animal or bird on this site from all over the world. It is really well laid out and I’m sending you the general bird page where you can click on any of the pictures on the page to see a live view of the birds. If you just hover over a picture, it will tell you what you are viewing. I enjoy watching the hummingbirds feed their young and I’m always amazed that their long beaks don’t do any damage to the babies. And… for more viewing pleasure you can pick one of the pictures above the Decorah Eagles and see four cameras in Africa or 43 webcams in the Ocean and so much more. Here is the link for Explore LiveCam and if you look at the top of the picture you are viewing you will see a camera icon that you can use to take a still picture of what you are seeing. I am so grateful that people and societies have taken the time to put up these cameras and maintain them. They give us a view of the world and habits of birds and animals all around the globe from the luxury of our living rooms. At any given time you can tune into some place in the world and view a bird or animal in its natural habitat without disrupting its behaviour. PS: if you have a favourite bird webcam that you like to watch, please put it in the comments below and share it with us.